Homme -For Men - Just Beauty Products, Inc.
Homme -For Men There are 5 products. The Salerm Homme Face Anti Age protects against aggressive external agents, improving the skin's texture and hydration. Suitable for daily use, maximum hydration, rapid absorption. The Salerm Homme Face Fatigue Control 24 is a moisturising cream which improves the skin’s texture, providing energy and vitality. With a series of qualities which eliminate the need for aftershave. 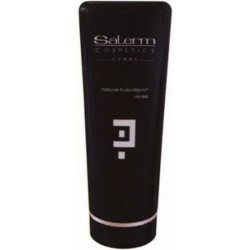 The Salerm Homme Face Peeling Rejeunissant Visage cleanse the skin and pores. Eliminates impurities, dead skin cells and excess grease. The Salerm Homme Finishing Fixation Gel memoire protects hair against moisture, so providing memory effect hold, thanks in part to the other fibrous resins. 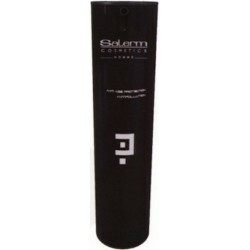 The Salerm Homme Hair Stop Stress Shampoing-Gel Tube works like a shampoo and shower gel, especially designed to make the moment a ritual to combat stress and physical tiredness. Perfect for any skin or hair type.